How Microsoft is building on widespread approval of Windows 10 to entice developers to develop on its platform. 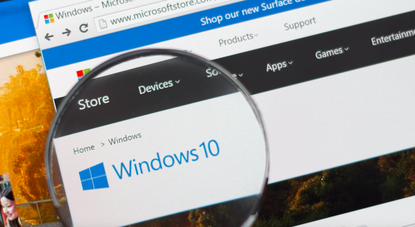 Microsoft is building on widespread approval of Windows 10 to entice developers to develop on its platform, as the tech giant lays the foundation for continued widespread adoption of its operating system. Highlighted during Microsoft Build, Microsoft’s annual developer conference, developers are now attracted by the broad adoption of Azure Active Directory and the introduction of other critical components of CEO Satya Nadella’s ‘Mobile First, Cloud First’ strategy. "Despite the company’s early failure and subsequent de-emphasis of Windows phones in the critical smartphone market,” says Ezra Gottheil, Principal Analyst, Technology Business Research, "Microsoft is now giving developers good reasons to develop for their platform, which will protect the Windows franchise, help drive a PC refresh and leave open the possibility of competing in the smartphone market in the future. Gottheil says Microsoft’s well-document cloud and mobile strategy for PCs creates new ways to work with PCs, mobile devices and the cloud. “The strategy enhances all devices and systems, focused on making them not only easier to use but more capable,” Gottheil adds. For Gottheil, Microsoft is betting that many of these improvements will lead to a greater willingness to purchase new devices, systems and services, and when they do, to spend more. “The entire PC industry, including OEMs, component suppliers and Microsoft, is suffering from past success,” Gottheil adds. “Old PCs continue to perform and serve their users and owners, extending the PC life cycle and reducing sales. To make the PC more personal, or easier to use and more powerful, Gottheil says Microsoft is broadening the types of interactions that Windows can handle, including spoken or typed language processing through Cortana, as well as through touch and stylus input. As explained by Gottheil, Pseudo natural language interfaces (PNLIs) such as Cortana are important in making technology more useful. “These interfaces leverage knowledge about the user and data to suggest actions that would be hard to specify through more traditional interfaces,” Gottheil adds. “Microsoft has made Cortana available on iOS and Android, making it the only cross-platform digital assistant, which is a distinctive advantage. Going forward, Microsoft has grand ambitions not only for Cortana but for a planned roster of PNLI bots integrated into Skype, Facebook and other applications across Windows, iOS and Android ecosystems. Gottheil believes Microsoft views natural language as the next step in user interface development, with bots that proactively engage and interact with other bots to access information or services. “While this “conversation as a platform” will take years to fully evolve, it highlights the significant shifts ahead for Microsoft and the device makers in its ecosystem,” Gottheil adds. Microsoft is also working to develop more refined interactions between the stylus and the screen, highlighted through the company’s acquisition of technology from Surface Pen maker N-trig, which looms large in Microsoft’s Ink Workspace initiative. A small number of stylus-friendly applications unveiled at various Microsoft events in 2015 have evolved into a library of pen-powered writing and sketching applications, Gottheil adds. “Greater stylus support and handwriting recognition boosts the appeal of PCs for routine tasks by acting as a digital collator for handwritten notes and reminders, and a powerful intuitive tool for editing and annotation,” Gottheil adds. Microsoft stated its research shows 72 percent of people use pen and paper for at least one hour each day, highlighting a potential new customer segment for Microsoft and PC OEMs. During Build, Microsoft emphasised the importance of touch in both tablets and traditional form factor PCs. “Touch is an important enhancement to PCs, but most users and buyers are not yet aware of the benefits,” Gottheil adds. Microsoft’s expansion into new ways to work with PCs, mobile devices and the cloud enhances all devices and systems, making them not only easier to use but more useful. “The new tools, conversations, touch and ink are all available to developers, greatly accelerating the growth of utility,” Gottheil adds. Simultaneously, Gottheil believes the evolution of Windows challenges both Apple and Google to compete in the traditional PC market. “Specifically, what Microsoft is doing justifies updating PCs and choosing more capable and more expensive PCs, which benefits Microsoft as well as the company’s OEM partners,” Gottheil adds. Going forward, Gottheil expects both Microsoft and the OEMs to reorient their marketing to more effectively communicate the improved experience available with the new devices.